If you're English then Example is already a house hold name and I just have to say "Be ready" to the rest of the world. His tunes have been remixed by the likes of Afrojack, Benny Bennasi, Bar 9, Spor and many others. Anyone that can enjoy Dubstep, Drum and Bass, House, and Hip-Hop will definitely love this guy. Just like Tinie Tempah made his way on to American radio we can only expect Example to follow. His new single Stay Awake displays great lyrics that everyone can relate to emotionally. What I've got out of this song is that our generation has gone to far an maybe we can't do anything about our leaders an people. I have a hard time interpreting British accents sometimes, but no matter this song bumps. Skrillex really likes the Stay Awake (Alvin Risk Remix) and has been played in many of his sets, so you know its straight filth. The Micky Slim is so bouncy and the drop will make you go straight bonkers. You be the judge. 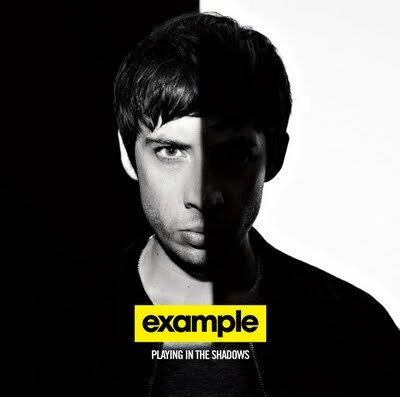 That EP is out August 28th followed by his LP Playing with shadows on September 4th. I've never seen so many good producers on one album. So much bang for buck on this one. If you Pre-order now you get a few bonus tracks. Keep up with Example on his Twitter, Facebook and his Website. Check out his Events. Looks like his only doing a European and English tour for the next few months. Can't wait for his US debut. Dubstep · Electro · Garage · House · Rap · U.K. 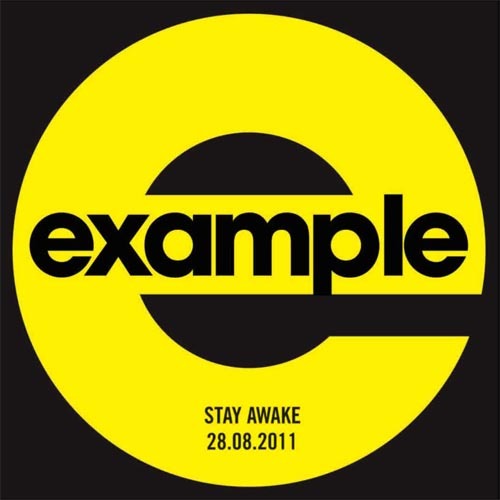 I've been listening to Example for a while now and his tracks are consistently just awesome. Even though I hope he does well here (the U.S) I don't think he will because its tough for an electronic act from another country to stick and have more just one hit single over here. With that said, he's definitely gonna blow up all over Europe as the tracks released so far have been promising. I feel like the original version of "Stay Awake" is the best version posted here. I've been mulling over this EP for some time now, and I feel compelled to comment. For starters the Alvin Risk remix is easily the best version, with the exception of Alvin and his brothers singing background (pun intended,) there are so many great nuances to it. The other thing is I'm surprised you only posted his single and some remixes as opposed to some other tracks off the EP like you normally do. not out yet! unless you lurk harder than I do! it is all the best album infact. thanks. WOW Thank God I found this website! Hope EXAMPLE be more known to the world. Delta Heavy and Jem Cooke join forces on new single "Take Me Home"